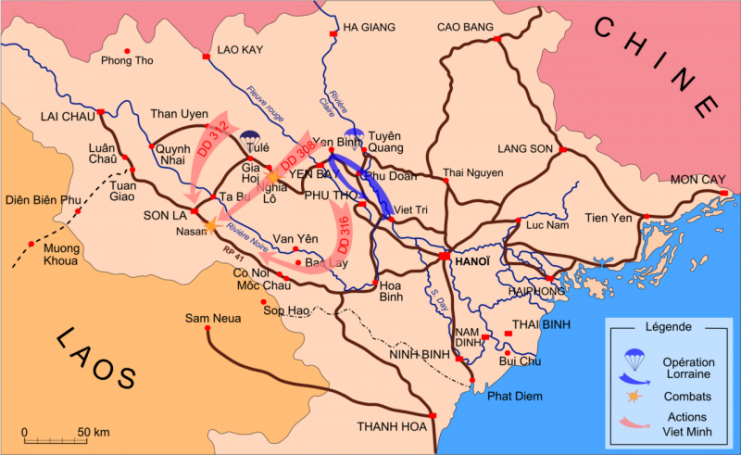 The Battle of Dien Bien Phu, which took place in northern Vietnam in 1954, marked a major turning point in both the First Indochina War between France and the Viet Minh independence movement and the general position of European colonial powers in South-East Asia. The fierce battle between around 15,000 French troops and 40,000 Viet Minh guerrillas resulted in around 4,800 French troops wounded, along with 1,600 killed and an equal number missing. 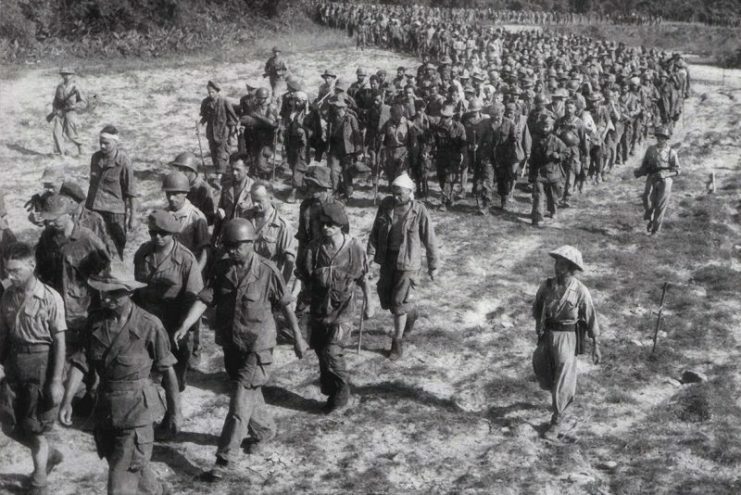 A further 8,000 French troops were taken prisoner and were marched on a long and grueling trek through the jungle to various prison camps. Only half of them survived the 500-mile journey. The Viet Minh paid a high price for this victory though. It has been estimated that around 7,900 Viet Minh troops were killed and almost 15,000 wounded. This battle marked the end of both the First Indochina War and the end of European colonial rule in Southeast Asia, and set the stage for the Vietnam War, which would start just over a year later. Dien Bien Phu was the climax of a bitter and bloody conflict that had been raging for close to eight years in Vietnam, a country that had been passed from hand to foreign hand over the preceding decades. From 1887 France had controlled Vietnam, then called French Indochina, but during World War II Japan, in its aggressive push to take control of Asia, took possession of Vietnam. 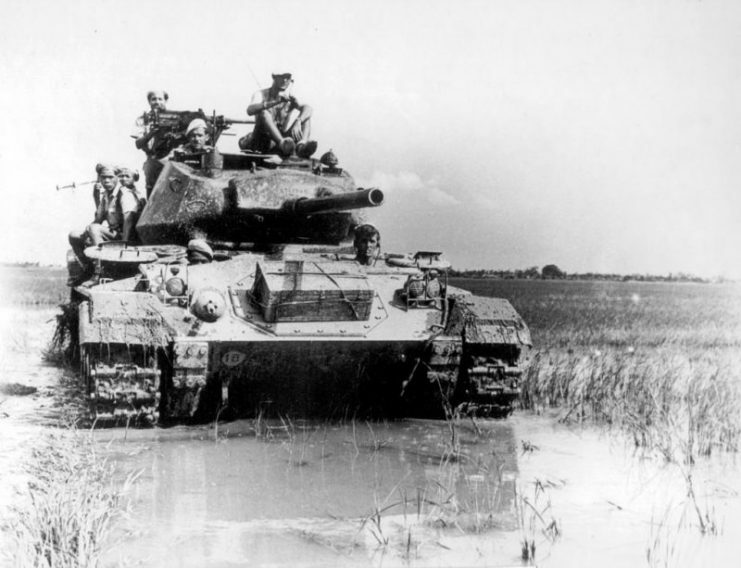 One of the ten French M24 Chaffee light tanks, (supplied by the USA) as seen here, deployed at the battle at Dien Bien Phu. The Viet Minh, a communist and pro-nationalist resistance group led by Hồ Chí Minh, fought against the Japanese occupation. At the end of WWII the Viet Minh rejoiced when Japan pulled out of the region – only to have the French return and assert control over the territory once again. Determined to achieve independence at all costs after decades of foreign subjugation, the Viet Minh started a guerrilla war against the French in December 1946. The French colonial administration, initially confident in their ability to quash what was seen as little more than a peasant uprising, soon realized that the fight was going to be a lot harder and bloodier than they had imagined. Regardless of how many Viet Minh troops they killed, their determined opponents simply refused to give up. Over the next eight years the French forces and their local allies would suffer around 75,000 casualties, with around 65,000 wounded and 40,000 taken prisoner. The losses were even heavier for the Viet Minh, even though they eventually achieved victory: around 200,000 were killed. 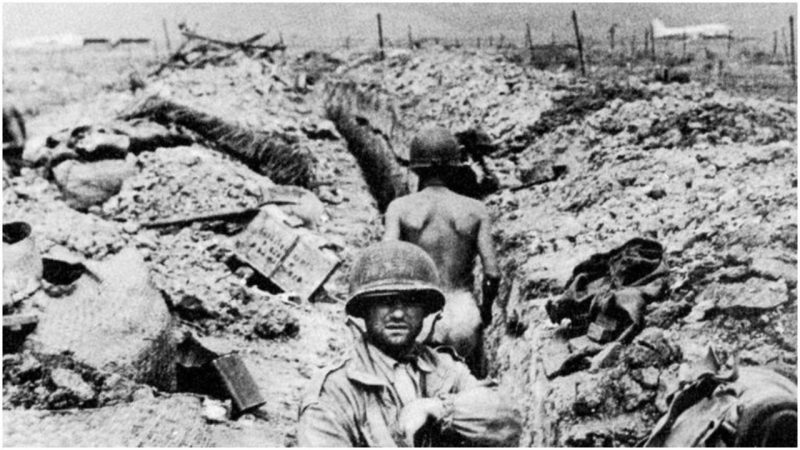 After almost eight hard, arduous years, in an effort to bring an increasingly destructive war to a decisive close both sides threw absolutely everything they had into what was to be one final, ultimately definitive battle: the Battle of Dien Bien Phu. In March 1954 the French forces, led by General Henri Navarre, fortified a position in the Dien Bien valley, a large basin ringed by jungle-covered hills. The position was deep inside enemy territory, close to the Laotian border. By throwing the bulk of his force so deep into enemy turf, Navarre hoped to strike a crushing blow against the Viet Minh, and ultimately annihilate the majority of their army. He based this decision on the outcome of an earlier battle, the Battle of Na San in 1952, in which a small but well-armed and fortified French force had defeated a much larger force of Viet Minh troops. 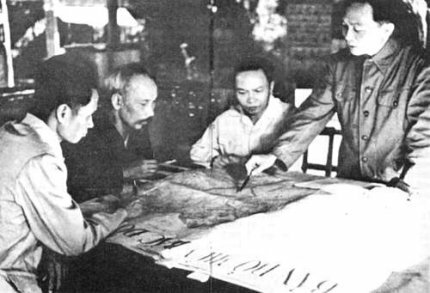 Navarre was confident in the superiority of French firepower and training against the insurgents, but, as had often been the case in this war, he underestimated both the fierce determination of the Viet Minh and the tactical brilliance of their leader, General Vo Nguyen Giap. Many French officers were concerned about the potential vulnerability of their position. Dien Bien Phu was a valley, and the French would not likely hold the high ground, so the hills ringing the valley would put them at a serious disadvantage. 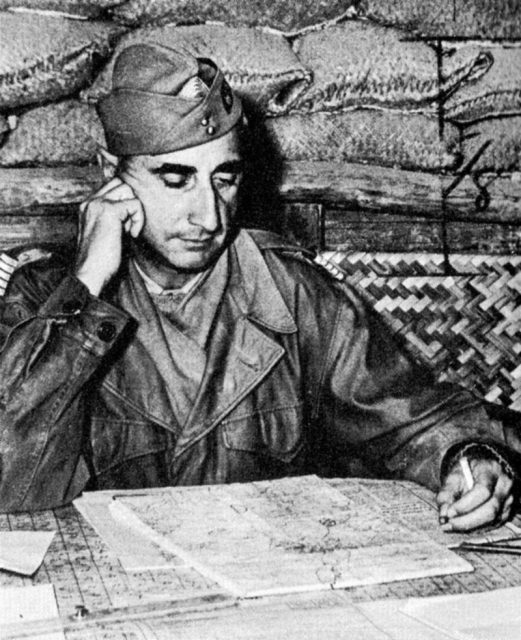 Navarre nonetheless persisted with his plan, and French troops started parachuting into the valley to prepare fortified positions from the end of November 1953. 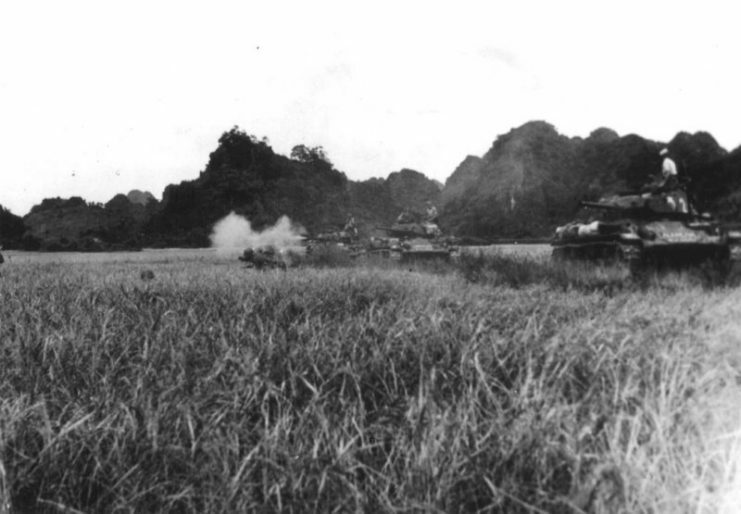 Seeing his chance to encircle and crush the French and achieve a decisive victory, General Giap moved as much artillery as he could muster into the surrounding hills. He also set up masses of anti-aircraft guns on the hills, knowing that if he could prevent French helicopters and supply planes from getting close, he could effectively cut off French supplies. Over the next few months, he succeeded in doing this. Knowing just how inhospitable and impassable a lot of the jungle terrain around the valley was, Navarre had perhaps imagined that the Viet Minh would be unable to get any major artillery pieces into position in the hills – but again, he had underestimated the almost fanatical determination of the freedom fighters. The French deployed a small number of M24 Chaffee light tanks during the battle that proved critical in repelling the enemy attacks. 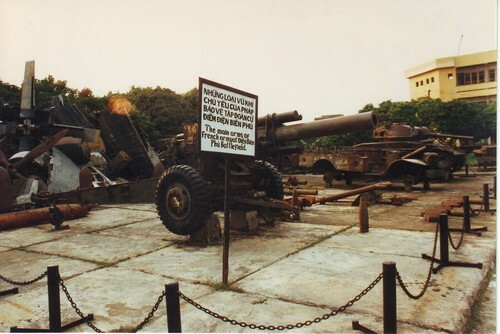 When the Viet Minh began artillery bombardment of the French positions in the valley in late January 1954, the French were taken by surprise at the number of artillery pieces the Viet Minh had managed to amass. A large number of them, in fact, had been supplied by the Soviet Union and communist China. Navarre also quickly found out that his subordinates’ warnings had been correct: at a disadvantage on the valley floor, the French artillery found it difficult to counterattack the Viet Minh positions. Over the next couple of weeks, Viet Minh bombardment was constant but comparatively light. 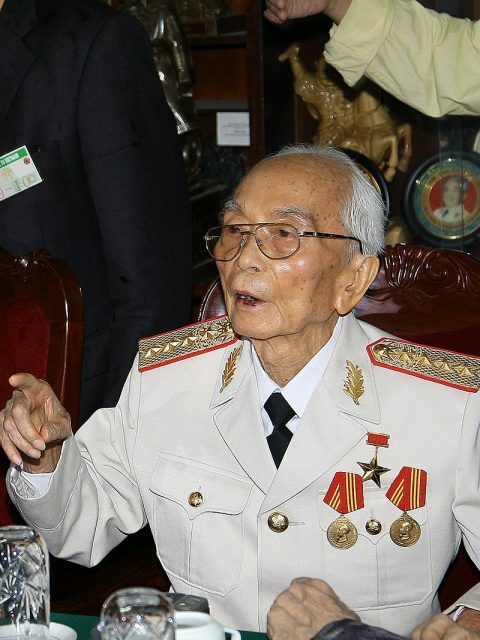 General Giap was preparing for a more concentrated assault, while psychologically wearing down the French. On March 13 bombardment began in earnest, with intense, focused artillery attacks which were followed by furious infantry assaults. One by one, French positions began to fall, and Giap established trenches in the valley, which Viet Minh troops occupied. Finally, the only French position that had not been overrun was a stronghold named Elaine. It was against this fortification and the trenches that surrounded it that Giap threw his full infantry force on May 6th. The fighting was absolutely ferocious. The French realized that they were beaten, but were determined to make a heroic if futile last stand. After initially trying to hold off the seemingly unstoppable waves of Viet Minh infantry with machine guns, as more French troops fell and the Viet Minh advanced, the final stages of the fight became brutal hand-to-hand combat in the trenches and the ruins of the fortification. 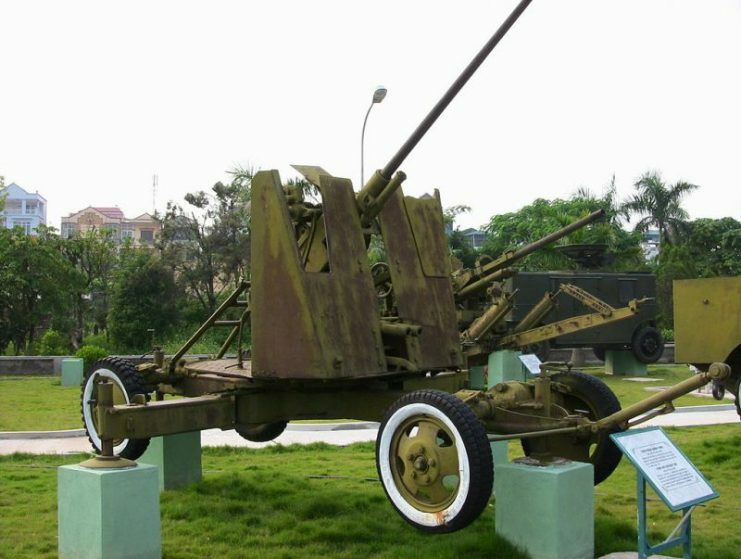 A 37 mm automatic air defense gun M1939 used by the Viet Minh during the battle. By the night of May 7 it was all over. 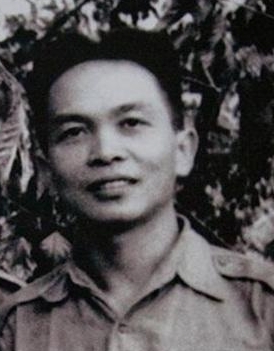 General Giap’s forces had scored such a decisive victory that it brought the war to an end. Peace was negotiated via the 1954 Geneva Accord, and France relinquished control of the territory. Vietnam was divided at the 17th Parallel into the communist-controlled North Vietnam and democratic South Vietnam. An uneasy peace would persist, but only for a short while…for just over a year later, the Vietnam War would begin.